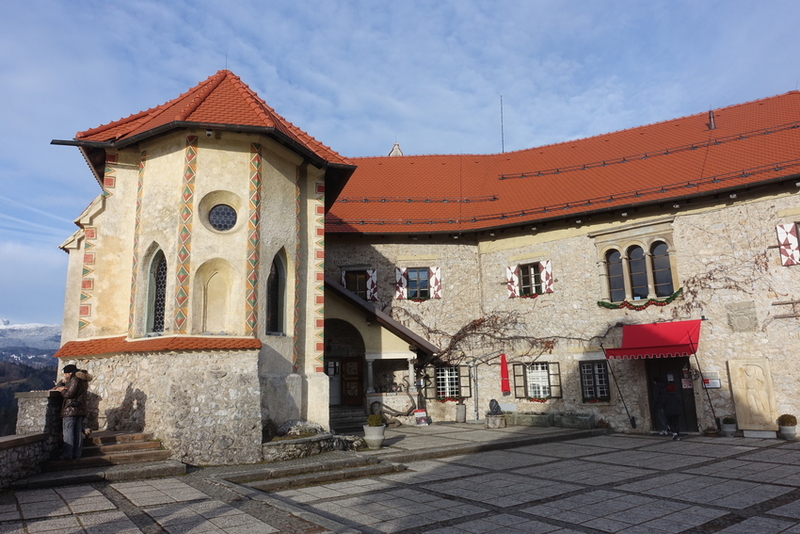 We stayed in (and spent most of our time in) four different cities while we made a circle around central Europe over Christmas and New Year's, beginning and ending in Munich, Germany. From each of those cities, we took at least one day trip - from Munich we went to Neuschwanstein, from Salzburg we went to Hallstatt, from Ljubljana we went to Lake Bled, and so on. Not only were we able to see some smaller towns by taking so many day trips, but traveling this way really allowed us to slow down and stay in places for a bit longer. Two years ago we took a trip around Europe over the same time period, but we didn't stay in a location for more than two nights (with one exception) and we flew from city to city, making the whole trip feel a lot busier, rushed, and like we could never really unpack, as we were always on the move. The more we travel, the more I want to slow down - not travel less, by any means! - but travel differently, at least sometimes. 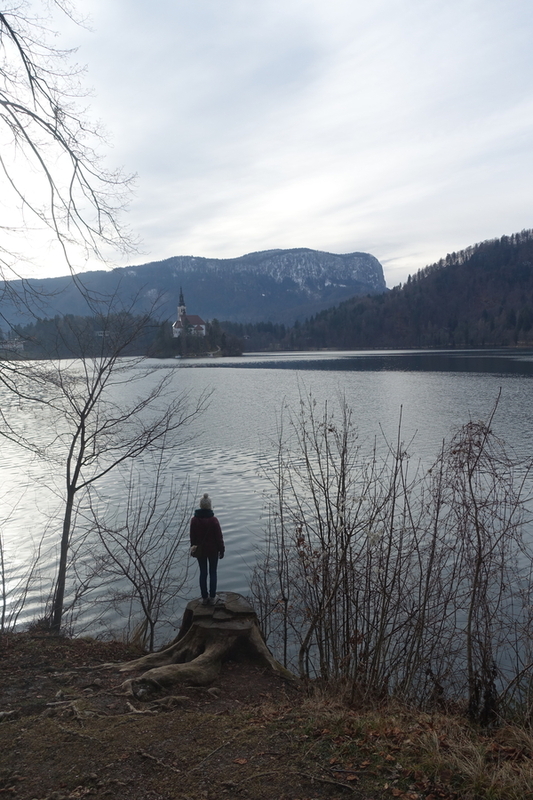 Anyways, we took one day trip from Ljubljana, to, you guessed it, Lake Bled. Our Airbnb host was largely unhelpful in us figuring out how to get from the city to the small resort town of Bled (about 45 minutes away by car) but the local Tourist Information office stepped in, telling us that all we'd have to do would be to go to the bus/train station (they're basically one and the same), buy tickets the morning of and take the next bus. Easy! 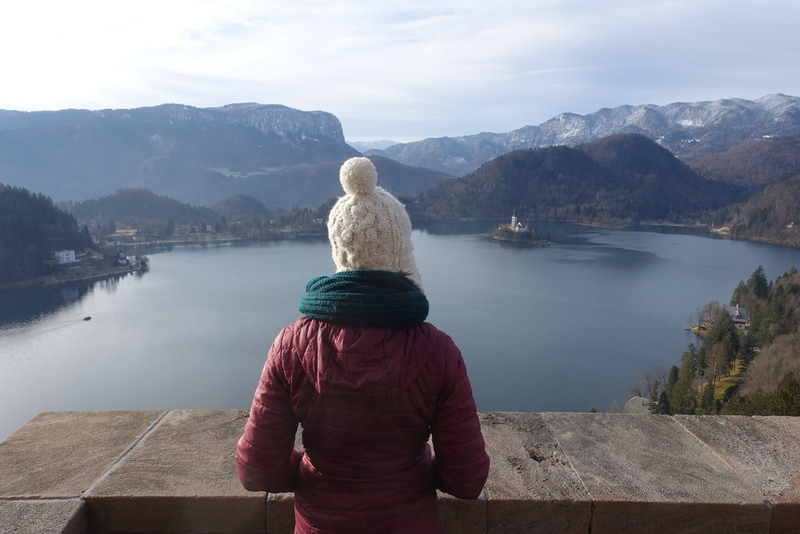 Thankfully, it worked out just as we were told, and we arrived in Bled mid-morning, ready to walk around the lake, climb up to Bled Castle, and - hopefully! - dodge the rain and catch some blue skies. 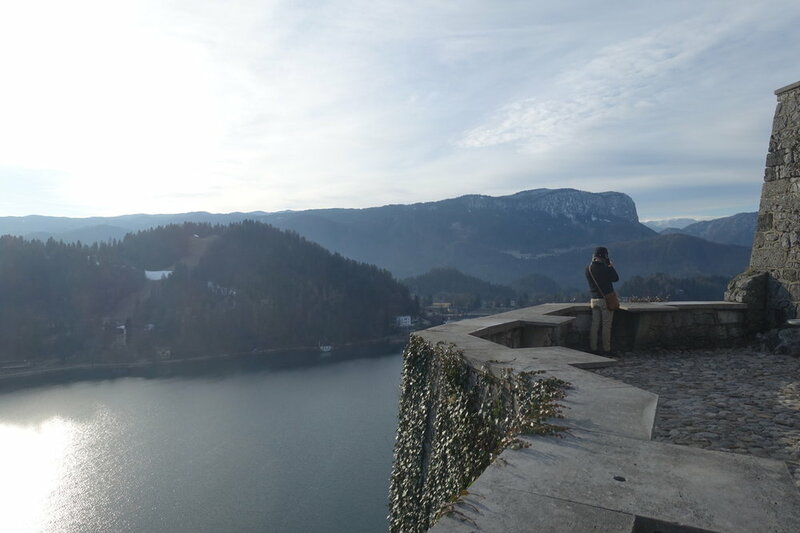 Our first moments at Lake Bled were the nicest, for sure. We had some glimpses of the sky in between the nearly-solidly-gray skies, and we were energized as we started walking. 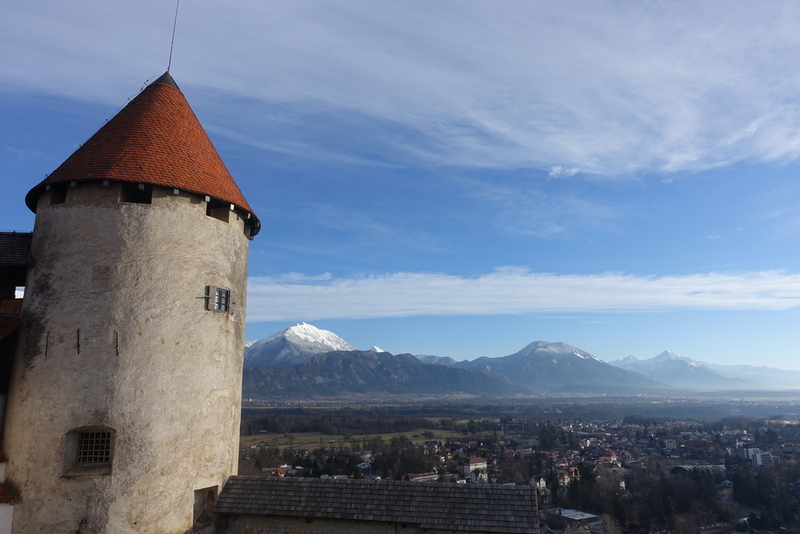 We began our time in town by walking towards the castle, and then up the hill towards it. I was on the fence about going in, but after we did, I think we were fairly glad we paid the entrance fee. The small museum inside was nothing to write home about, but the views were great, and if you walk around, nearly 360°. D - Very glad we paid the entrance fee! 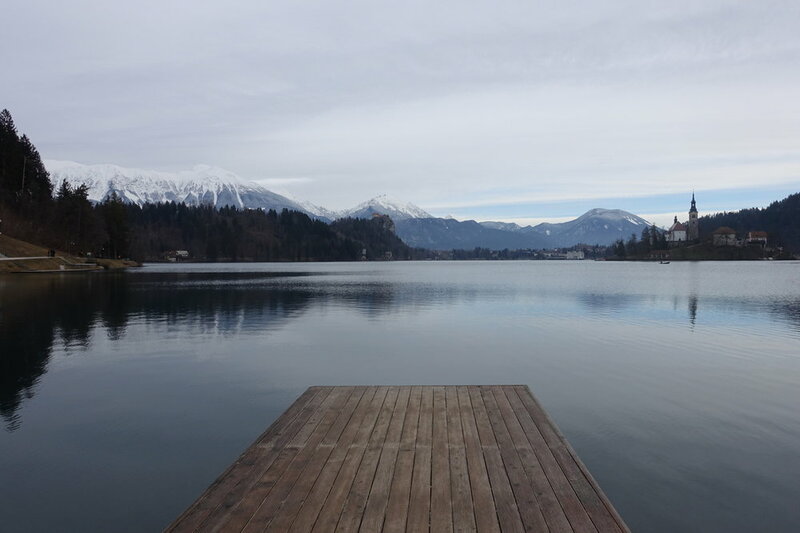 There's a reason Lake Bled is one of the most photographed lakes in the world (I just made that up but it could be true)! I know I've said this so many times, and I don't want to be ungrateful (although I can be a real ingrate), but this was one of those times where I really wish that we had more powerful camera equipment. 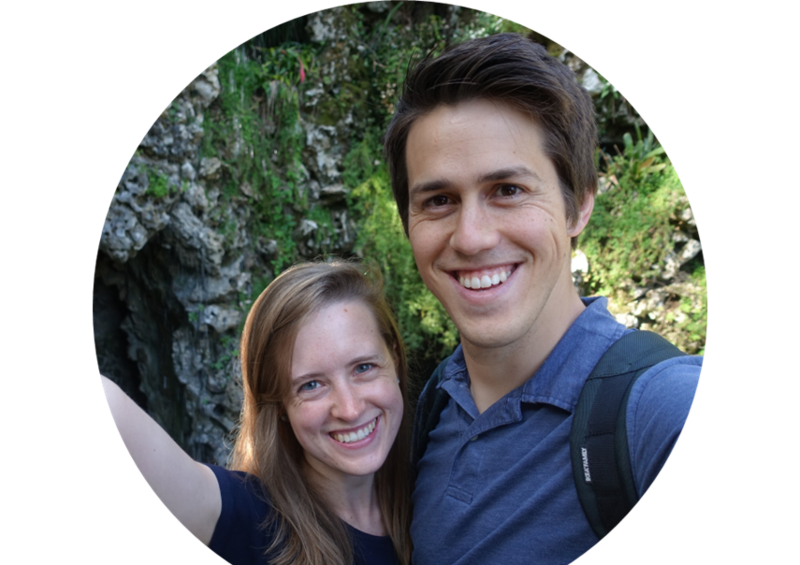 Our trusty point and shoot has served us faithfully over these past few years, but the lens is just super wide and makes everything look about twice as far as it does with the naked eye. Especially with things that are already somewhat far away in the first place. 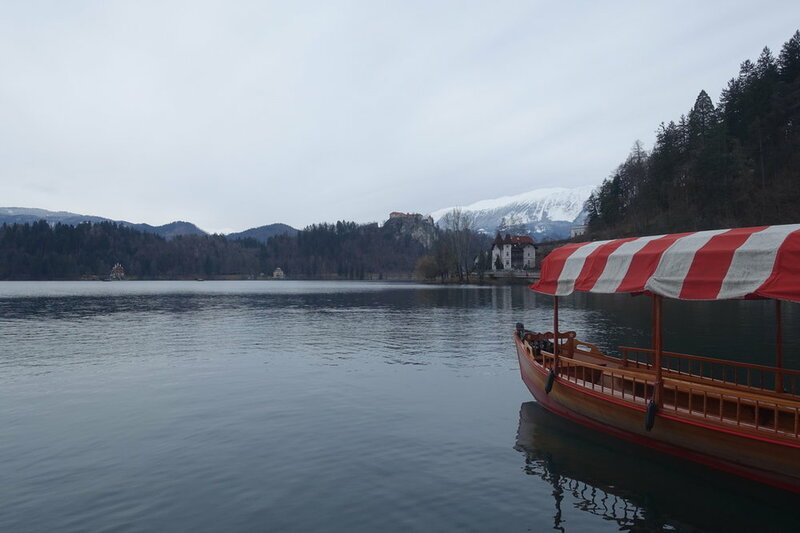 Anyway, as is often the case with us, our pictures really don't do justice to the beauty of Lake Bled. As we walked around the lake, we made quite a few stops for photos/views/etc. which is probably why even though I'd read somewhere that "Lake Bled is not that big," we spent just about three hours (including time in the castle) walking around it. I think in better weather (to me, it felt really cold, but three Spanish winters have really made a baby out of me!) we could have spent more time there and done a of couple things that we didn't do, like rowing out to the island in the middle, hiking to other viewpoints, and just hanging out along the shores, but as it was December, we didn't really linger. 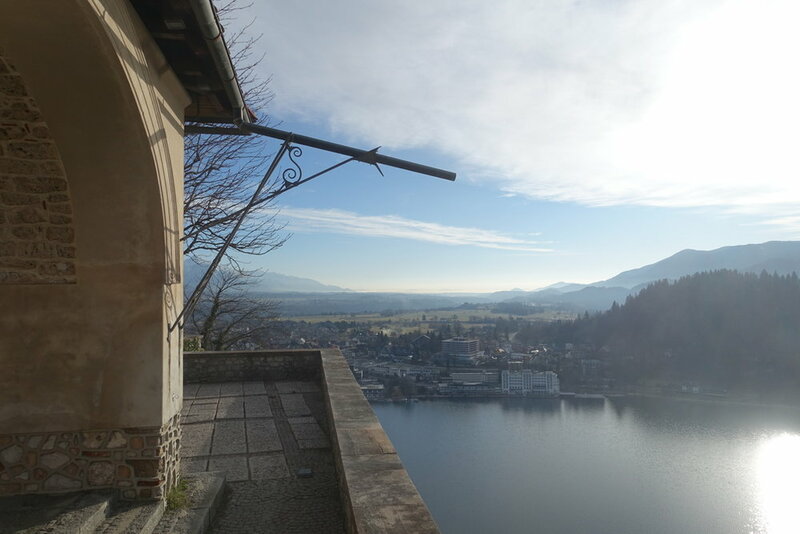 D - Here's a fun fact that we learned: if a couple wants to get married in the church at the top of Bled Island, the groom had better be in decent shape. Tradition dictates that before the ceremony, the groom must carry the bride up the 99 steps that lead to the church in order to prove he's fit for marriage and to ensure a happy life together! After hearing about the challenge, I wished we could've been married there so that I could've proven my brawniness. Instead, I chose to carry Shannon into the reception. We finished our visit to Bled with lunch at Public Bar & Vegan Kitchen Bled, where the staff experienced a problem we often do too when we're cooking at home - trying to do too much with not enough electricity! We share a fusebox with our neighbors, and it seems like 1-2 times a week, we have to flip all of our switches while we're cooking to get everything going again. It's annoying, but thankfully we're not trying to run a restaurant! The veggie burgers and fries were good at Public Bar & Vegan Kitchen Bled, and the atmosphere was cozy and pub-like (I mean, coming from someone who hasn't really ever been to a pub before). 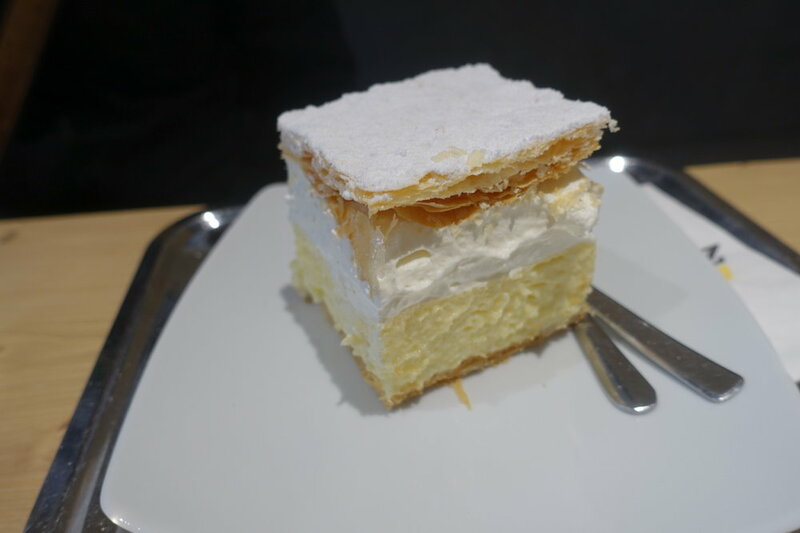 We saved some room for dessert at Slaščičarna Zima, for Bled's famous pastry specialty - think vanilla custard with whipped cream on top, in between two layers of flaky pastry. We enjoyed our piece, but we're not its biggest fans - we've found it's kind of hard to get all the layers in one clean bite, but maybe that's just us. D - Besides that, it just isn't really all that good. The town of Alcalá de Henares here in Spain has a similar treat that also looks a lot better than it tastes. I mean, maybe if this was the only dessert that I had ever tried I would be remembering it a lot more favorably, but this wasn't the only dessert I've ever tried, and I just know that butter, sugar, flour, and milk can be arranged in a much more palatable way.